New Zealand’s first purpose-built student hall of residence constructed for Colombo Plan students at Massey University’s Manawatū campus has been granted heritage status. Heritage New Zealand has recognised the significance of Colombo Hall by adding it to the New Zealand Heritage List, Rārangi Kōrero, as a category two historic place. Built to house international students studying under the Colombo Plan, the hall of residence was officially opened in 1964 by Prime Minister Keith Holyoake. The Colombo Plan was created after World War II to bolster the economies of countries in south-east Asia through aid and other assistance. New Zealand’s main focus was providing expertise and training, which involved providing scholarships for students from India, Pakistan and Sri Lanka initially, and later, Cambodia, Indonesia, Laos, Malaya, Myanmar (Burma), Nepal, the Philippines, Thailand, Vietnam and Singapore. The students participated in cultural exchange and diversified the student population. Massey Vice-Chancellor Professor Jan Thomas welcomed the recognition for Colombo Hall. 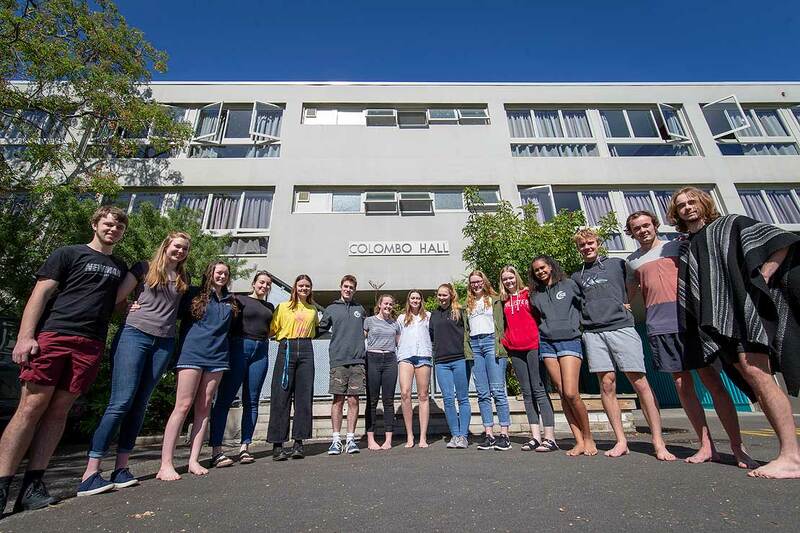 “We are very proud that Colombo Hall was New Zealand’s first purpose-built student hall of residence connected with the Colombo Plan,” she says. “It has been such a pivotal part of student life at the campus ever since it opened its doors in 1964. “The students, the hall was built to accommodate, have been in many cases extremely influential in building up the economies of the countries they came from, particularly in the agriculture and food sectors but also in government and politics. Many have maintained strong links with Massey and with New Zealand that have been of mutual benefit to all parties. Colombo Plan students continued to reside in the hall until the early 1970s. By the 1980s, New Zealand had stopped taking Colombo Plan students. Other University buildings on the heritage list include the Sir Geoffrey Peren building and the Refectory, which date from its early period as an agricultural college.